The investment and construction boom that is currently taking place in the largely unreported, relatively peaceful northern part of Iraq, has led to a proposal for the country's first modern ski resort. The general Western misconception of Iraq and indeed the entire Middle East is one of a hot, dry and dusty region, where you're more likely to see camels than carved turns. But the presence of major ski resorts in Lebanon, Israel, Iran, the snow dome in Dubai, a proposed ski resort development in Syria and now Iraq's new plans for a ski resort is beginning to bring the huge possibilities of skiing the Middle East into the minds of Western snow sports fans. The Middle East has a huge range of suitable mountains that could easily rival the European Alps or the N. American Rockies, with the right amount of investment and development. The many ranges of the Zagros mountains extend along southern and western Iran and into northern Iraq with many peaks exceeding 3000m (9,000ft), and the highest point being Zard Kuh at 4548m (14,921 ft). 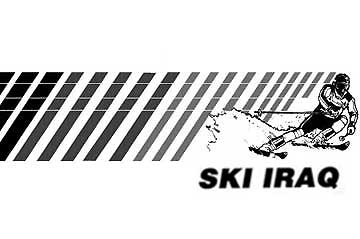 Indeed, Iraq's neighbour, Iran boasts around 20 ski areas and has a long history of winter sports dating back to the era of the Shahs and the first half of the 20th century. The rumours of a ski resort for Iraq come on a wave of development projects in the relatively peaceful Kurdistan sector in the north of the country, which has been protected by a no-fly zone since 1991. Kurdistan is a so called "nation within a country" and still has many deprivations for much of the population, but foreign investment and money from wealthy Iraqis is going in to new malls, housing developments, casinos and mosques at levels measured in the billions of dollars. "We're not saying Kurdistan is heaven," Herish Muharam, chairman of the Kurdish government's Board of Investment told the NYT. "But we're telling investors that Kurdistan can be that heaven." So, let's hope that in few years time the only bombs going off in Iraq - will be to trigger avalanches.